Tenderfoot® is a world renowned slat flooring system for animal production. Its outstanding characteristic is its unique plastisol coating. This innovative flooring system complies with all applicable rules and guidelines for strawless livestock husbandry. 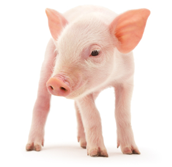 Tenderfoot® has been proven by its excellent performance for decades in pig production, replacement dairy calf markets, veal calf applications as well as pet and research applications. The Tenderfoot® system equally fulfills the requirements of veterinary medicine as well as scientific and economic aspects in an optimum way. 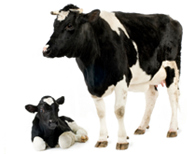 Tenderfoot® is a system tailored to the various needs in animal production. It is characterized by four features: animal-friendly, labor-saving, economical and designed for the future. Our custom manufatured Tenderfoot® flooring can be integrated into virtually any animal facility. Tenderfoot® animal friendly flooring is subjected to a full and exacting pre-coating preparation we maintain the highest level of attention to this part of the manufaturing process to guarentee 100% adhesion of plastisol to metal. This assures many years of trouble free use when properly supported and maintained.